This is the event I am planning on taking my children this year, we love Whitehouse Farm and they have two events to choose from this year. They have Winter Wonderland which we went to last year, however you can only visit Santa in his grotto during weekdays, making this the perfect event for pre-schoolers. They also have a new event called the Santa Experience, which is available on weekends and which we are going to in a few weeks time. 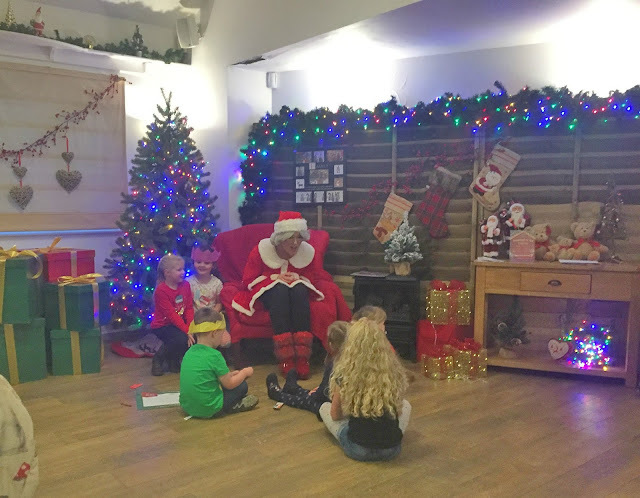 You get a timeslot to meet Santa, (so no waiting in huge queues) children receive a gift and get to do some crafts as well as getting to explore the farm. It sounds like a magical day out the whole family will enjoy. To find out more and to book visit www.whitehousefarmcentre.co.uk tickets cost from £17 per child and £10.95 for adults. Stephenson Railway Museum in North Tyneside run a Santa Special event each year which sounds great fun. You get to ride on a heritage train ride, with onboard entertainment and children get to meet Santa and receive a gift. The Santa Special runs on weekends in December from the 1st to the 23rd. There are only a few tickets left so be quick if you want to book. To find out more and to book visit www.stephensonrailwaymuseum.org.uk tickets cost from £14 per person. Last year we went to have afternoon tea with Santa at Wyevale garden centre (formally known as Peter Barrats) at Gosforth Park. There are still places available to book for afternoon tea with Santa or Breakfast. You enjoy either breakfast or tea, decorate festive cookies, take part in some festive activities and children get to meet Santa and receive a gift. It was a really lovely experience and one I would recommend as my children adored it, you can read about it here. It costs £10.95 per child and either £5 or £8.50 per adult, depending on what you order and you need to prebook in advance. Once again the FREE Santa's Grotto will be returning to the Metrocentre, located on the ground floor in the yellow mall (near Argos). The Grotto will be open from the 17 November until Christmas Eve 10am-8pm Monday to Friday's, 9am-7pm Saturday's and 12-5pm Sunday's. Children will receive a free toy from Santa and you don't need to pre-book you just turn up on the day and wait your turn. We visited a couple of years ago on a weekday and only had a 20-minute wait. Hop on board the Santa Express land train in Tynemouth which will be running from the 8th to the 23rd December. Prices start at £10pp and children under two are free but you can pay an extra £2 so they can get a gift. Children get to meet Santa and Mrs Claus they will recieve a gift and enjoy a magical journey with the elves with lots of Christmas sing-song and festive cheer. 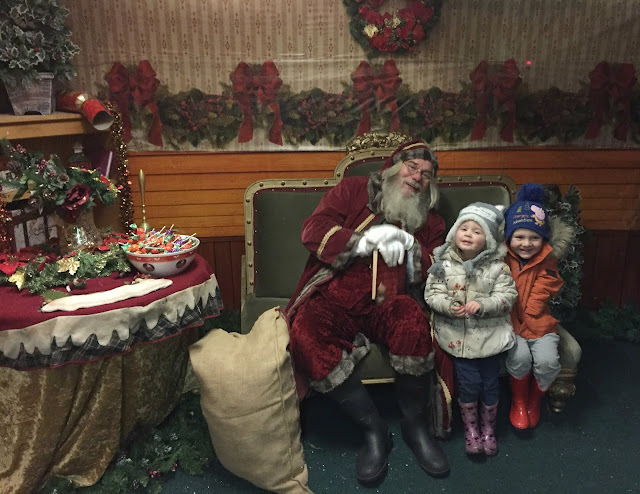 So those are some of the Santa experiences that I have found that still have places near Newcastle this year. Let me know if you are going to any of these events this year or if you are planning on seeing Santa somewhere else this year in the comments below.